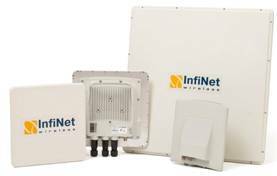 InfiNet Wireless, the global leader in fixed broadband wireless connectivity, has announced at GITEX Technology Week 2016 the InfiLINK XG 1000, its latest addition to an already comprehensive product portfolio. InfiNet Wireless are exhibiting in Z’abeel Hall, Stand Z-J10. To arrange an interview or meeting with InfiNet Wireless, please contact Joanne Turner – joanne.turner@proactive-pr.com. ETL Systems are one of the world’s leading RF manufacturers covering Government, Military, Marine, Private VSAT networks as well as global Satellite Operators, Martyn Gettings caught up with them at the recent IBC event. Stephen O’Connor of Siro gives an exclusive interview about Siro’s ambitious plans to install and deliver a nationwide wholesale network for other operators to exploit.